Throughout human history people keep imagening themselves gods and goddesses. That is quite explainable if we look back at the very beginning. Trying to persuade the first two people in the garden of Eden, the serpent used this very idea of becoming like gods to make them make the wrong choice. He succeded. They didn't become like gods. But since then, people just can't stop thinking of themselves as gods, can they? Myths served well for the ancient ones. But in 21st century the same ideas take form of casual games. 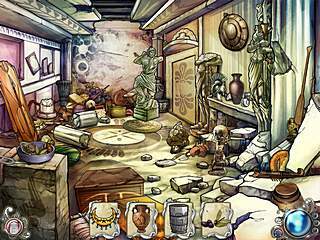 Goddess Chronicles is a hidden object game from Gamers Chronicles. 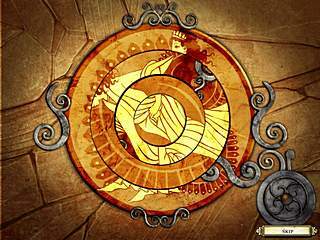 In this game you are to follow the story of a young woman that is to become a goddess, no matter how weird that may sound. The goddess is going to be called Adonia (it is very symbolical that her name is actually one of God's names in Hebrew, but if she is to become a goddess wouldn't she have her own name?). Anyways she is headed towards the immortality through a number of trials to overcome. The journey begins on Mount Olympus where she agrees to go through all of the challenges. Upon her decision she is swept to the first of them. Yes, it finding items and solving mini-games that can help you become a goddess here. 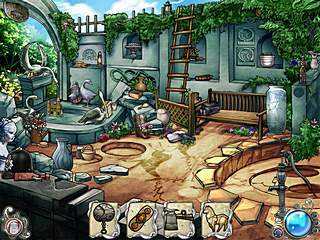 Despite the devine goal she is pursuing the game play is one of an average hidden object game. You are given items to find by four. The new ones are added when you find those. Some of the items are fractured and have you search for all of the parts. You will be going through different scenes, but one at a time. So don't expect doing lots of exploration in between the scenes. You might not be happy with that, but if you look for a high difficulty level, you will not be disappointed. Some of the items are extremely difficult to find because of their itsy bitsy sizes. That is especially true to the fractured items when you are to find even smaller pieces. The hints are available for you, but don't expect too much. The hints get recharged after used, but it takes a long period of time for them to recharge. So you want to think twice before using them. You can also earn some extra ones by collecting marbles along the way, but again - don't expect too many. One of the very nice features in this game is that you can get some devine powers to be used in finding objects. This is more typical for match-three games thus adding a something fresh to a HOG. Though they are used in a very repetative way every time. The mini-games are very easy and can be skipped, which you will be inclined to do if you've played enough HOGs. The graphics are very attractive with some animated parts adding to the pros. Though it is often better to get a trial version since pros and cons are often a personal thing. This is Goddess Chronicles review. Download this game here.